What are my rack options for my vehicle? There are many rack options for your vehicle but the first thing to consider is what you’ll be carrying, and how often you’ll be using your rack. For example, if you access your trunk or the back of your car quite often then a car roof rack is probably your best bet. Not only do roof racks keep the back of your vehicle clear, they also carry the most gear – everything from kayaks to skis to bikes and more. However, if you’re worried about loading gear on the roof (maybe you don’t have enough height in your garage or you find it hard to lift a bike that high etc. ), a hitch rack is a great option. 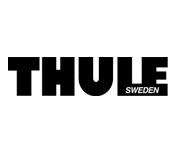 They’re available in a variety of styles and are the easiest of all the racks to put on your car – you simply slide them into your hitch and away you go. For those of you that don’t have a trailer hitch (and don’t want to have one installed), you can use strap-on trunk racks or spare-tire racks (if you’ve got an extra tire on the back of your vehicle). All these rear-mounted racks are great but keep in mind they really only carry bikes although some also carry skis and snowboards. If you want a truly multi-sport system your best option is ultimately a car roof rack. Even if you’re only carrying luggage, you’ll probably still want to use a roof rack system combined with one of the many different cargo carriers. Available as cargo boxes (closed) or cargo baskets (open) they get the clutter out of your car and safely onto your roof. If attaching a rack to your vehicle isn’t for you, consider a multi-sport trailer. These carry boats, bikes, boards, skis and connect to your trailer hitch. If you drive a pick-up truck, we also have a variety of truck bed mount racks for you to choose from. These prevent your gear from moving around in the bed of your truck helping to keep your passengers and vehicle safe. Are roof racks damaging to my car? No! In fact, roof racks are designed to prevent your gear from damaging your car! 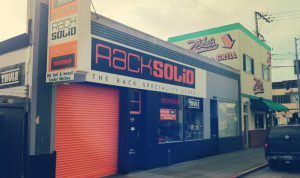 At Rack Solid, we ensure that when your rack is installed, it’s done right and in a way designed to protect you, your gear and your vehicle. My vehicle doesn’t have rain gutters, can I still use a rack? Absolutely! We sell a wide range of rack accessories and car racks specifically for vehicles without gutters. What if I sell my car? Can I take my rack? Car roof racks are designed to fit your specific vehicle and it is unlikely that a rack can seamlessly transfer from one vehicle to another. Accessories and rack bars are usually transferable but you will likely have to purchase a new fit kit and possibly new towers. If you’re unsure consult one of our fit guides. Hitch racks, trunk racks, and most other racks usually transfer between cars without too much hassle but you should still give us a call to ensure a good fit. 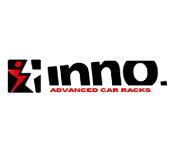 Do you offer car racks for sports cars? Yes! 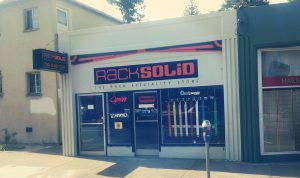 Rack Solid carries a number of racks specifically for sports cars, SUV’s and specific luxury makes and models. 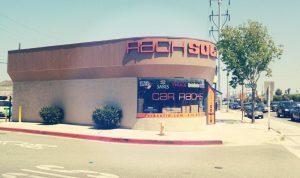 Give us a call at one of our three locations or consult one of our fit guides to find the right car rack for your vehicle.